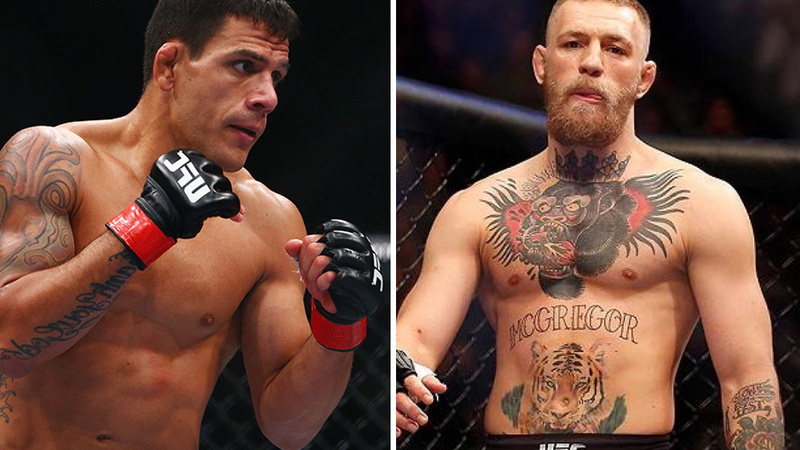 Conor McGregor and Rafael Dos Anjos were supposed to fight back at UFC 196 before a foot injury forced RDA off the card. Nate Diaz ultimately stepped up as a late replacement and the rest is history; Diaz submitted McGregor in a massive upset. According to “The Notorious” himself, McGregor was supposed to fight RDA again at UFC 224 before Dos Anjos was booked to fight Colby Covington at UFC 225 instead. McGregor hasn’t fought an MMA bout since winning the UFC lightweight belt from Eddie Alvarez at UFC 205. The Irishman did make his boxing debut in a losing effort to Floyd Mayweather Jr. but hasn’t competed or defended his belt since his last fight over two years ago. McGregor’s social media post suggests that if he had gone through with the RDA fight at UFC 224, he would have been listed higher on the new Forbes richest list for 2018. MMAFighting’s Ariel Helwani also confirmed the report saying opponent would have been Rafael Dos Anjos and likely fight for an interim welterweight title bout. A legal issue from UFC 223 prevented McGregor from fighting RDA at 224, after “The Notorious” threw metal objects into a bus carrying a bunch of UFC fighters. McGregor’s next fight will have to take place after his case is adjudicated; his next court date is June 14. UFC 224 took place in Brazil, and any legal issues McGregor is going through could easily preclude him from traveling abroad to fight. RDA instead will fight Covington for the interim UFC welterweight title at UFC 225.